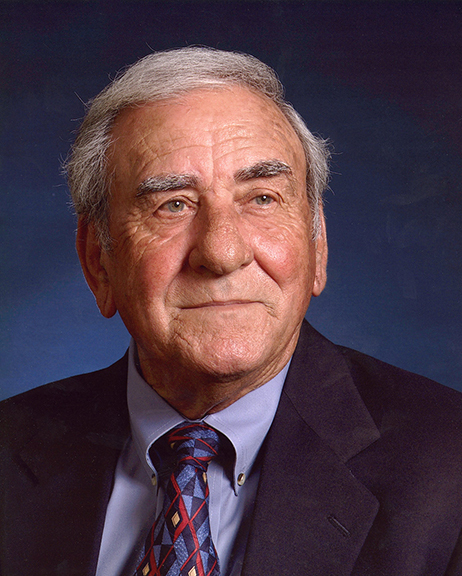 James (Jimmy) Fertitta, 84, passed away peacefully in his sleep on February 3, at his home in Beaumont, after suffering an illness. His Funeral Mass will be celebrated this Saturday, February 9, 2019, at St. Anne Catholic Church, 2715 Calder Avenue, Beaumont, at 11:00 a.m. and will be followed by a celebration of life at 1:00 p.m. at the Beaumont Country Club, 5355 Pine Street, Beaumont, under the direction of Broussard’s, 2000 McFaddin Avenue, Beaumont. Jimmy was born on November 12, 1934, in Beaumont, Texas, to Katherine Giglio and Rose Tony Fertitta, Sr. and remained a lifelong resident of Beaumont. He graduated from St. Anthony’s High School and married Rose Theresa Giardina in 1958. After several years attending Lamar University, he started his long career in beverage distributing, spending the majority of his career as a sales manager for Giglio Distributing Company. Jimmy and Rose raised four sons, Chris, Randy, Scott, and Kirk. He was blessed with seven grandchildren, Bruno, Giuliana, Ella Rose, Sze Sze, Nicole, Lauren, Leigh, and two great-grandchildren, Stoli and Aiden, as well as daughters-in-law, Paula, Anna, and Terri. Jimmy was an exceptional athlete in high school and maintained his passion for sports through coaching, golf, bowling, and watching his Longhorns and Cowboys. The number of friends that he made and touched over the years is too long to list. There was no place in Beaumont where he was not recognized and welcomed with a warmth and humor distinctly his own. He is survived by his brother, R.T. Fertitta, Jr. and wife, Anna Mae, of Beaumont; and his sons, Chris of Wimberley; Randy and wife, Anna, of Houston; Scott and wife, Terri, of Dallas; Kirk and wife, Paula, of San Diego; and seven grandchildren; two great-grandchildren; and nieces and nephews. Chris and Randy, our heart felt condolences and prayers are sent your way. I was blessed to run across you dad periodically, especially at Market Basket. We always had a great conversation and he always asked how mom is doing. I was extremely fortunate to see you dad, you guessed it, at Market Basket just a couple or so weeks before his passing. I was in Houston a week or so after that to help out our daughter when I found out the sad news. I truly wish I could've been in town to pay our respects and visit with y'all.. Hope all is well with y'all and God Bless your family. We always enjoyed seeing a Jimmy. Such a good picture of him on the program. I couldn’t make it to the services but Barney did bring me some cake from the celebration. Know you’ are missing your brother, R.T.. : (. Jimmy was a very good friend. We go back to the good old 1940's. Jimmy was on the ST Anthony HS Football team that went undefeated in 1947. Great Man for some great years together. May His Soul, Rest In Peace. Jimmy was such a fine man. I remember him well although our paths have not crossed in many years, as for 40 yrs. I have lived away. This does not keep one from remember friends in the past. I extend my deepest sympathy to the family, and I send special thoughts to R.T. and Anna Mae. So sorry to hear. Our thoughts and prayers are with you. Take care. Growing up in Beaumont,I knew Jimmy and his family for much of my life. He was a cousin. He was a good athlete. He was a good guy.. When your contemporaries pass away, you realize "the bell tolls for thee," and we will all be joined together in the future. I will miss you Jimmy, and I will pray for you. May the peace of Our Lord Jesus Christ reside with you and all of your family. This is Major and Tony Cakdronia's granddaughter. It's been a very long time since I gave seen "uncle"Jimmy (that's how I alwsys knew him). I am sorry to hear of his passing. May the memories bring a smile to your face to replace the tears in your eyes Condolences to the family. RIP Jimmy. You certainly were one of a kind. You will be missed.